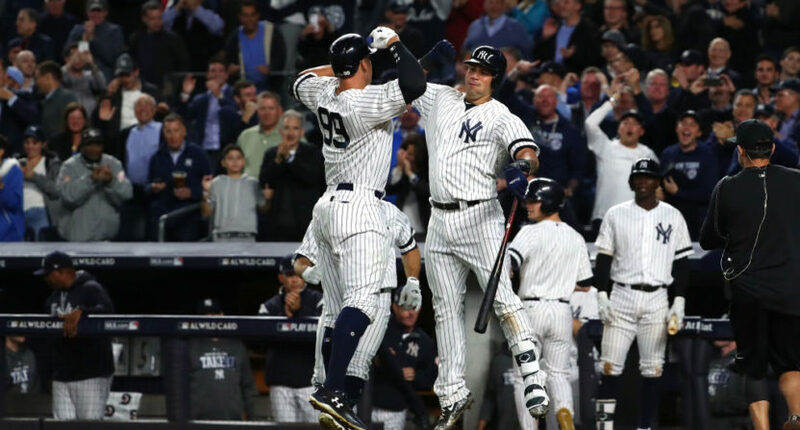 With the number one market’s New York Yankees involved in Tuesday’s American League Wild Card Game, ESPN was able to ride a wave to a very strong overnight rating. ESPN registered a 5.2 overnight number for the Yankees win over the Minnesota Twins. That is a whopping 58% better than last year’s AL Wild Card Game on TBS, which pitted the Baltimore Orioles and Toronto Blue Jays. One factor in last year’s numbers is that Toronto is not counted in the U.S. ratings, while this year’s game was able to count both the New York and Minneapolis-St. Paul markets. ESPN was quick to point out that since the Wild Card Game began in 2012, it has had four of the five highest-rated matchups. The American League Wild Card Game ratings certainly sparks the MLB Postseason off to a good start, and it brings more good news this week to ESPN. On Monday, it garnered 11.9 million viewers for Washington-Kansas City on Monday Night Football, making it the most-watched program on both broadcast and cable. However, that viewership was still down from both the 2015 and 2016 editions of MNF. With the AL Wild Card Game’s numbers, ESPN can boast that when it has big events, people will still flock to the Worldwide Leader to watch. MNF and the AL Wild Card Game this week are evidence of that. But that’s all for ESPN this Postseason, as Fox/FS1, MLB Network, and TBS take over the rest of the games until the end of the World Series.